Being Yourself, Believing, Margaret Mead, Tolerance. Always remember that you are absolutely unique. 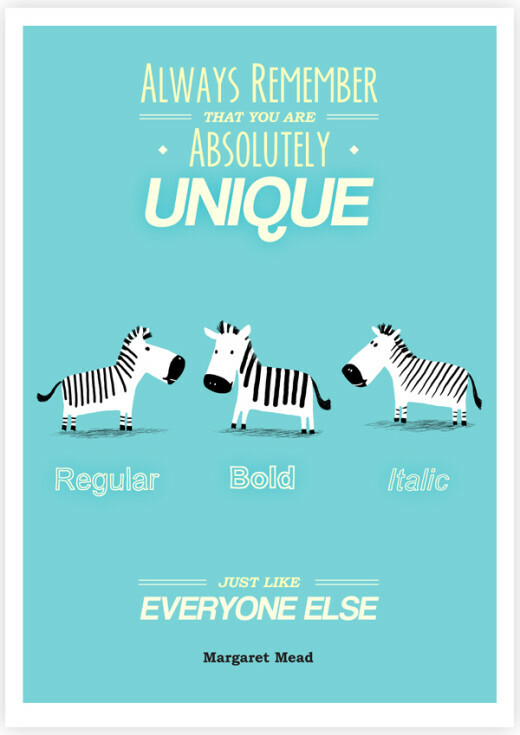 Regular, bold, italic. Just like everyone else. - Margaret > Life Quotes with Pictures.